LIBERTÉ covers the French Revolution from the meeting of the Estates-General in 1789 to the Directory and General Napoleon Bonaparte’s coup d’état in 1799. In LIBERTÉ, players shape the political landscape of revolutionary France. They compete in provincial elections to gain votes in the government and opposition which in turn award victory points. Successfully leading the army in battle and winning the election in key provinces will also score victory points. The game is played over four turns with each turn consisting of multiple action rounds. The most common action is to play a card to stack faction blocks in the provinces. Special cards may be played to weaken rivals. Players may also participate in the battle and recruit the best General, among other options. Players can retain some cards in their personal display. These cards can then be replayed (advanced) to resolve ties. If not used by the end of the turn, they return to the player’s hand, available for the next turn. After the action rounds, the election is resolved in each province. The three factions competing for the new government are the Moderates (blue), the Royalists (white), and the Radicals (red). The player with the largest stack in a province controls that vote. Ties are very common, however, so players may advance their held cards to gain the advantage. Typically, the player with the most victory points will win. Two sudden-death victory conditions can immediately end the game making victory points worthless. The Radicals can gain a landslide in the election or the Royalists can take back the country by controlling battleground provinces. Everyone must be watchful for the fervor that can quickly change France’s future! 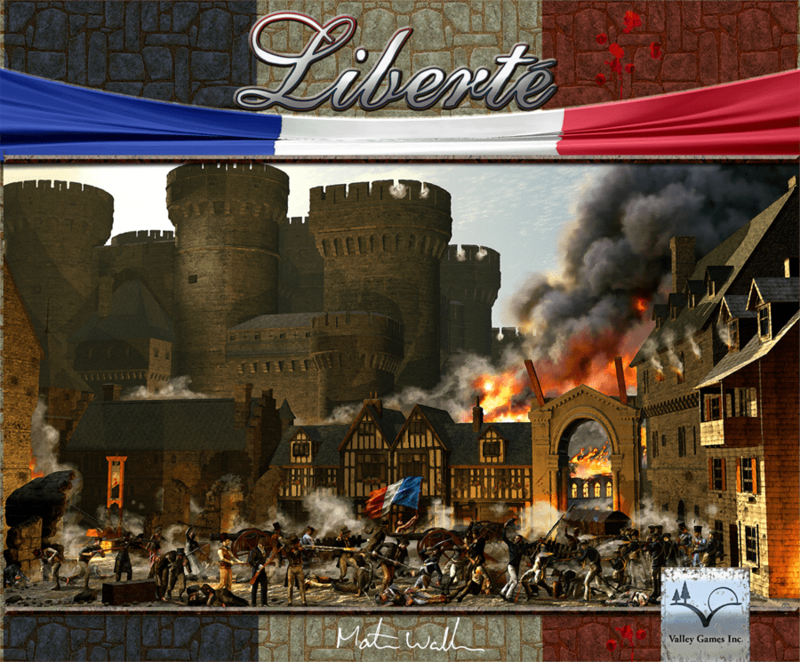 LIBERTÉ is for 3-6 players aged 12 and up and takes approximately 90 minutes to play.